From the outside looking in? I’ve got it all. Prestigious job. Pretty house. And a perfect boyfriend who proposed with the perfect ring. But as beautiful as my life looks on the outside, I feel like something’s missing. So I hop in my car and head south. I’m hoping the thousand mile distance will clear my mind–and give me time to work on the romance novel I secretly want to write. Charleston, South Carolina: home to stunning architecture, sultry accents, and–oh yeah–my new neighbor, Elijah Jackson. A chef at one of the city’s most renowned restaurants, he’s simultaneously intimidating and inviting. Especially when he shows up at my door, shirtless, offering me homemade biscuits. As if his abs for days and inked up deliciousness aren’t enticing enough, he also encourages me to chase down my dreams, one chapter at a time. And the chemistry between us? Hotter than the kitchen at Eli’s restaurant. But I still have a life a thousand miles away. One I’ve worked really hard to build. And I don’t know if I can just leave it all behind. Romance novels always end in happily ever after. But is one possible for a southern charmer and this yankee girl? 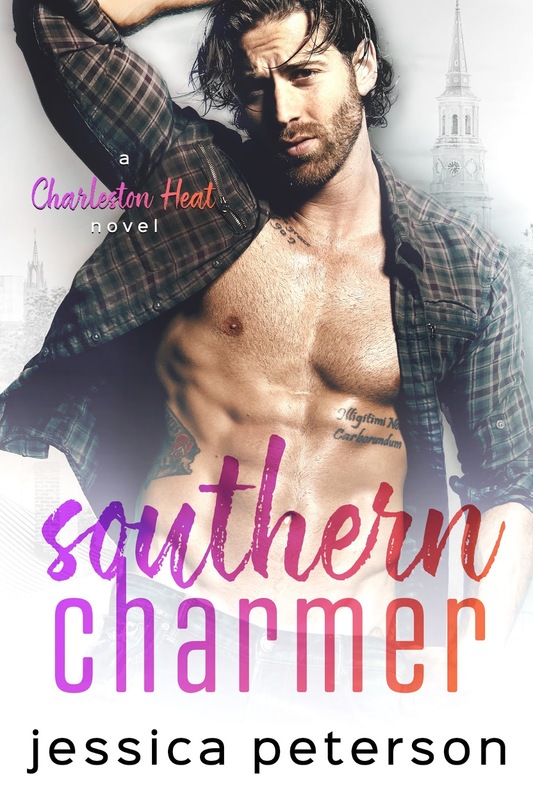 SOUTHERN CHARMER is a slow burn, standalone romance. It’s the first book in the CHARLESTON HEAT series, set in Charleston, South Carolina.